At NurseStaffing, we are committed to matching qualified health care professionals with premier medical facilities from coast to coast. We understand the needs of our clients and health care professionals with a focus on becoming part of your team. With an operation that runs 24/7, you can rest assured that we are always there when you need us! Find out more about what we are doing to make health care careers more rewarding. Log in to the Employee Web Portal to manage your personal information. We excel at finding industry professionals to fill your specific needs. We Achieved the Gold Seal! 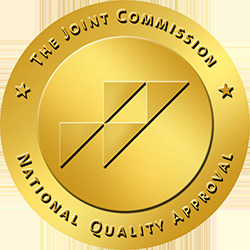 The Joint Commission is an independent, not-for-profit organization that accredits and certifies over 21,000 healthcare organizations and programs in the US. The Joint Commission accreditation and certifications are recognized nationwide as a symbol of quality that reflects an organization’s strong commitment to meeting rigorous performance standards. For more information about The Joint Commission, visit www.jointcommission.org. To locate and verify a Certified HealthCare Organization and review quality reports, visit the Quality Check® website.